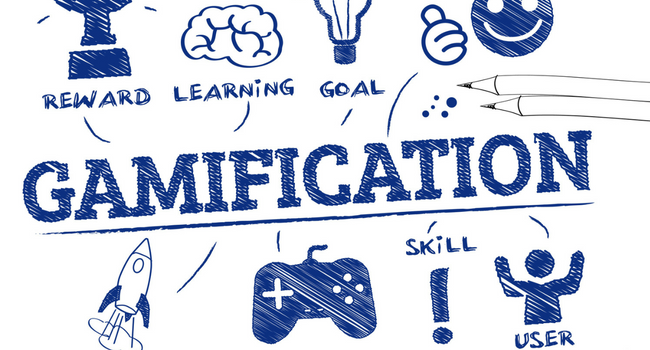 Gamification: the process of adding games or gamelike elements to something (such as a task) so as to encourage participation. I've been working on different writing projects, but I find my mind wanting to do other things when I should be writing. I'm a visual person, I need to see the finished product to be able to have the proper motivation to achieve it. In many cases that are applicable to our lives, this is not possible. I can't see a 300 page book, completed with edits and a cover that hasn't even reached chapter 3. With that said, I now pass to you what has helped me; Habitica. I've been testing the waters with this tool for the past week and half and I'm surprised to tell you, for me, it worked. At least for writing. With Habitica you can set Habits, Dailies and To-Do's to help you achieve goals through your life. These small goals each and every day may help you achieve that really, really big goal at the end of the month, maybe the end of six months or even a year. Or maybe it could just help you quit smoking. Either way, if changing that poopy diaper is a way to earn a few extra experience points or get you closer to buying the third tier of your class weapon, it's worth it. Blog Post 1 of... Who knows. So, it's 11:15pm and I'm sitting in my living room, sipping chamomile tea and listening to I Should Be Writing by Mur Lafferty. It's pretty self explanatory, but just in case it's really not, it's a podcast for wanna be fiction writers. I'm that, along with a novice writer. Ironically, my last post here was about a book I started writing and I apparently finished chapter one? Couldn't find this so-called book I started and had affirmations to complete by 2016. It's 2018 and I don't even remember what it was about. I'm good at that, starting hobbies or setting goals and losing interest after 15 days. However, the one thing I can acknowledge that does exist is the simple desire to write. Just write. Always has. A book, a blog, a short story, an article, whatever I can write. All of which fill a hole I have when I don't write. So, here I am, writing, filling that void before I drift off to sleepy land. I didn't really have anything to say or share I just felt like I should maybe come back to this? Maybe be more active on here? I've left Facebook, so I have some more time that can be filled with things that are more fulfilling. Also, I started reading a lot more since my last post and joined a book club. We're called A Novel Bunch and I hate to say I had absolutely nothing to do with the name or formation of the book club. Disappointing. Currently making our way through A Darker Shade of Magic by V.E. Schwab. If you have not picked up this book at your local library, do yourself and your local library a favor and pick it up. I'll leave a brief review after I complete it. Maybe. Until next time, two hours from now, two days, two weeks or even two years. Again. I hope by the title you weren't expecting me to actually post Chapter One! Even if it was finished, I couldn't do that! Could I? However, I can tell you that it's begun! Finally! I've hardly begun and already this has been a jarring ride. I've been quibbling with myself on the story for months, going back and forth on the concepts and ideas. It's changed a few times, but I've finally begun and I feel very confident in this. By confident, I mean that I've had this idea for a while and it hasn't gotten boring. That's saying something for me! I find myself reading the book as though it were written by someone else, awestruck, wondering what will you happen next. Turning the page with anxiety, sitting on the edge of my seat only to find there is no next page. "Ugh!" It feels like a good TV show where I wait weekly for a new episode. Lucky for you, you won't have to wait for weeks to see what's on the next page! You know that feeling you get when you're about to overcome a fear like jumping out of a plane with only a nylon shoot to keep you from plummeting to the ground and becoming a human pancake? Well, that's how I feel right now because I think it's about time to begin writing this book. My palms are sweating as though I'm standing on the Skydeck in Chicago; my heart is racing with excitement and nervousness. Now, I may not be scared like I would on the Skydeck, but I don't know what to expect and I'm hesitant to jump. I guess it's increasingly difficult to overcome the cold of the ocean unless you just jump in, though, right? I'm hoping that this is very much a journey for me as it's going to be for my characters. I mentioned in my previous post that I will give small glimpses into this book as the blog continues, so I will. I can't release much information on any of the characters, but I will unravel tid-bits as often as I can. For me personally, the first step in beginning this book was to develop a plot. Obviously. After that idea came, it felt empty, I couldn't continue to build on the foundation I'd discovered without people to help me. I had to have characters. Characters who could help me build from that foundation, to help me write each sentence on every page and support me or help me change a word when it wasn't right. See, these are not just characters in a book. These individuals are writing this book with me. They will live out my ideas; as they develop, the story will develop, shaping around them like a glove to a hand. Hopefully. This has been a dream of mine for years, to write a book. However, I underestimated the amount of thought it would take to simply conjure up a story. Who'd have thunk! After much thought I believe I may have an idea.. I won't go into any major details of the story, you will need to wait until it's finished for that. but I do want to begin writing down some sort of regular telling of the story. I'm not exactly sure what or how, but I'm sure that too will come. I have not yet begun writing the book as I want to be sure this is the story that I will follow. I can tell you what kind of book it will be though. Throughout my life I have not really been much of a reader, which is strange since I want to be an author. Writing something I don't particularly care to read is just my way, I guess. When I was a young boy I struggled with math, but not like everyone else. I was different. I could divide, but I could not multiply. That still confuses me and everyone I tell, but as I said above, it's my way and I seem to be following those same footsteps with this book. Recently though, I have begun reading and enjoying every bit of it. Currently, I am reading The Neverending Story by Michael Ende. This may sound familiar as it was a movie made only a few years after the book was first published in Germany. The movie was split into three parts, the first being the first half of the book, the second being the second half of the book; but I said three parts, didn't I? Michael Ende tried to shut down the third movie as it was not from the pages of his book. Unfortunately, Michael Ende lost that case and that movie was a flop.. Shocker, huh? I initially thought the book I'd write would be some sort of non-fiction, thought-provoking book to draw those closer to Christ or giving them some introduction to a concept they never before considered. Much like Jesus>Religion by Jefferson Bethke (I love this book!). Maybe one day, but not now. Ecclesiastes 8:15 says to enjoy life. I think when I came across that verse it was God giving me the approval to write a fiction book. Something I've often felt in the past to be insignificant to me. Not anymore! All I ask is during this journey you support me. I'm new to this and will be learning a lot along the way. With that will come many mistakes, so bare with me! If you've taken the time to read to this point, thank you. I want to deeply apologize for not keeping this up to date. I've been quite busy since my last post and a lot has changed. Blessed by the Lord, I gained a wonderful wife on May 10th. We celebrated by taking a cruise through the Eastern Caribbean and just really enjoyed being in God's presence and planning for what was ahead. Many people asked me if I felt different after we were married on that day and if I were to answer honestly, I'd have to say not until we got home did it feel different. By no means was it a bad different, but this person was now even more so a significant part of my life. I made a commitment on May 10th to love her for as long as either of us will be around and I don't want to take that lightly. I want to continue to learn to love her and learn to cherish her. I read once in a book that marriage is the best way to become more like Christ. I mean, think about it.. You have to love someone even when they make your blood boil! Yeah sure, friends are that way, but usally, you get to go home after they've made you angry. You have to learn that they don't always do things the way you do them. That one in particular has proven to a diffiult one for me. I'm so happy that Lenzil and I took marriage counseling early on during our engangement, it has given us a confidence in Christ through the beginning of the marriage I don't think we would otherwise have. Upon our return we quickly settled into a normal routine of going to church on Sunday's, doing a couples devotional and setting aside time daily to talk with one another. e also recently joined a Small Group in our church. This was a first for the both of us, so it's been an exciting start to a new journey. The people have proven to be a breathe of fresh air for me; I've longed for a connection with other Christians for a while now, so it's nice to finally have that. I have so much more to say and talk about, but I will leave that for the next time. Three posts was all it took for Satan to take a hold of me and place my wants elsewhere. Three posts ago I spoke about Pursuit. I was provided with a tab of Bible Verses to read daily. I was so encouraged and motivated when I made the decision to follow those daily readings. It wasn't much, just a chapter a day, about 15 minutes total. Needless to say, I'm over a month behind on those readings. Our flesh is so weak! A friend mentioned to me this weekend that he was keeping up with this short-lived blog and noticed I hadn't posted anything in some time. That has been settling in my the pit of my stomach since. Wondering why I had fallen so easily? Well, I think I fell for the exact same reason that Peter fell when he stepped out from the boat. I turned my focus from God to the storm around me. Instead of focusing on the words I was reading, hearing. writing and experiencing, I was focusing on the stats of this Blog. This blog is not here to boost my moral, but to help keep me accountable for my walk with Christ. I think my first mistake is that I made a schedule to write, but you can't put our Father on a schedule. So, I don't know when I will be posting, it may be minutes from this one or weeks from it; I don't know what it will be about, all I know is that I will be posting again. I wanted to touch a little bit today on the difference between condemnation and conviction. These can sometimes be misleading and seem interchangeable, but in fact, they are very different. Condemnation is general, meaning that you feel guilty or poorly and you're not sure why. Where as Conviction is specific in that you know why you feel the way that you do. You know you feel guilty because of that thing you did yesterday. Condemnation is from Satan. This is Satan's way of pointing his finger at us, calling us hypocrites and saying "how can you be Christian after what you just did". Conviction is from the Holy Spirit. This is a way that we are "kept on track" if you will. If you feel this coming onto us just thinking about the sin, then we know it's a warning, it's the Holy Spirit trying to tell us to turn the other way. Lastly is that condemnation leads to despair - the complete loss or absence of hope. With despair in our lives we will be drained of all energy and drive. Conviction is the opposite where it can lead to repentance for our sin. Conviction, though it sounds bad, is very good to have. Sorry today's was so late, very random and not very well put together, but it was something that was brought to my attention recently and it had to be shared. When I say that "I am a Christian," I am not shouting that "I am clean living." I'm whispering "I was lost, but now I'm found and forgiven." When I say "I am a Christian," I don't speak of this with pride. I'm confessing that I stumble and need Christ to be my guide. When I say "I am a Christian," I'm not trying to be strong. I'm professing that I'm weak and need His strength to carry on. When I say "I am a Christian," I'm not bragging of success. I'm admitting I have failed and need God to clean my mess. When I say "I am a Christian," I'm not claiming to be perfect. My flaws are far too visible, but God believes I am worth it. When I say "I am a Christian" I still feel the sting of pain. I have my share of heartaches, so I call upon His name. When I say "I am a Christian," I'm not holier than though. I'm just a simple sinner who receive God's good grace, somehow! I wish I could fit all of those words on a t-shirt to show that as Christians we're not better than anyone else; we've just realized that we can't do life on our own. I heard an encouraging story this morning on the radio and felt I had to share it. In undergrad a girls boyfriend had just finished football practice and came back to the dorm. They met in his room and began talking. Without any plan, the football player knelt down and proposed to his girlfriend saying "I know you don't want it like this, but I feel God telling me to do this. Sometime in our relationship the odds will be stacked against us and everyone will tell us how we'll fail, but we'll make it." It's now been three and half years since they've been married and the former football player has been having an affair for the past nine months. I wish I could share with you the strength and calm in this woman's voice as she shared this story. She said "I know that God prepared us for this and promised us we'll make it through and we will."